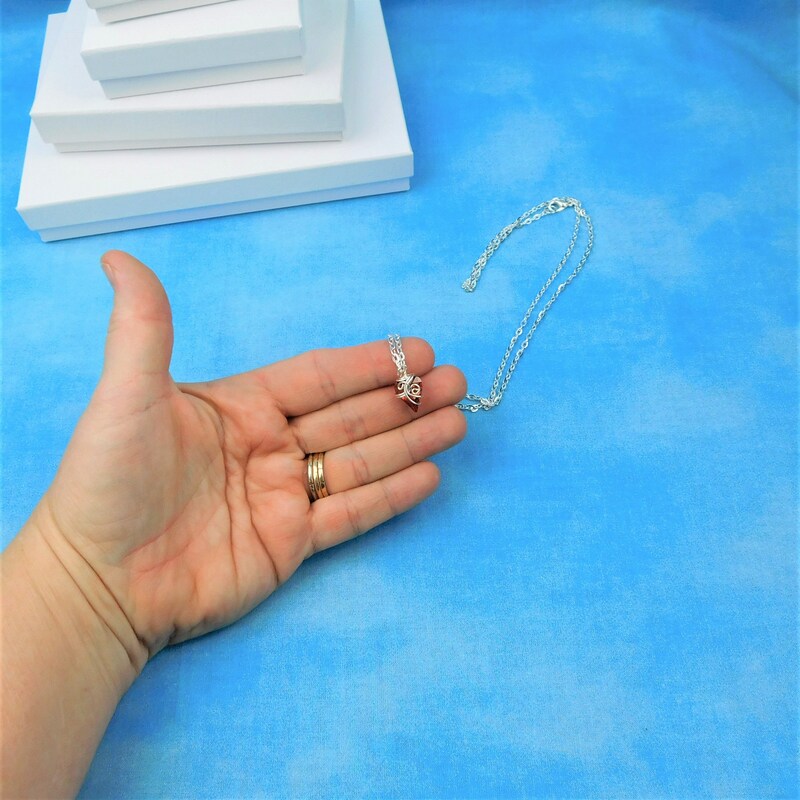 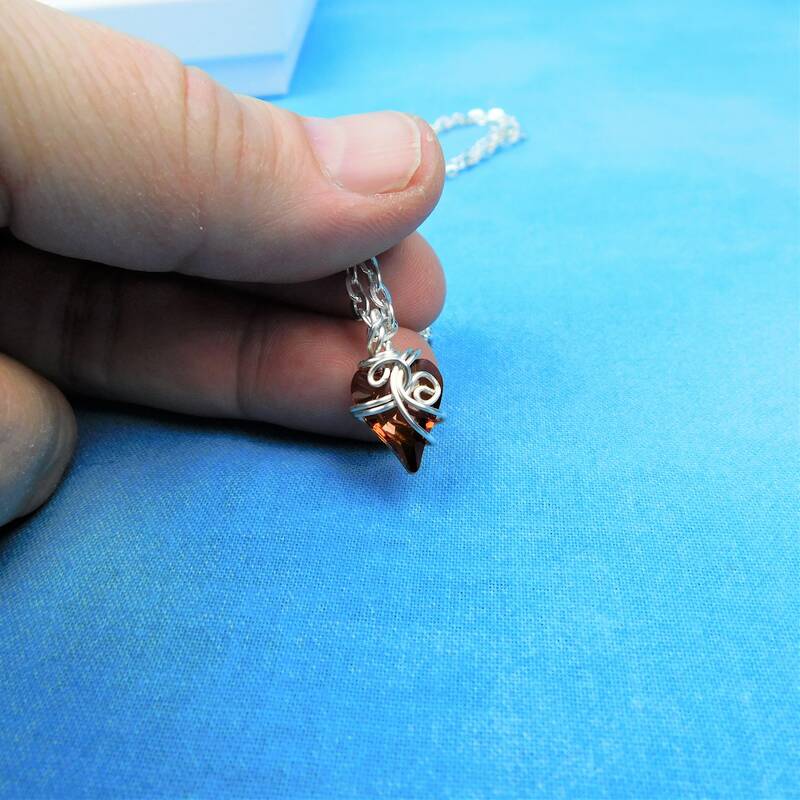 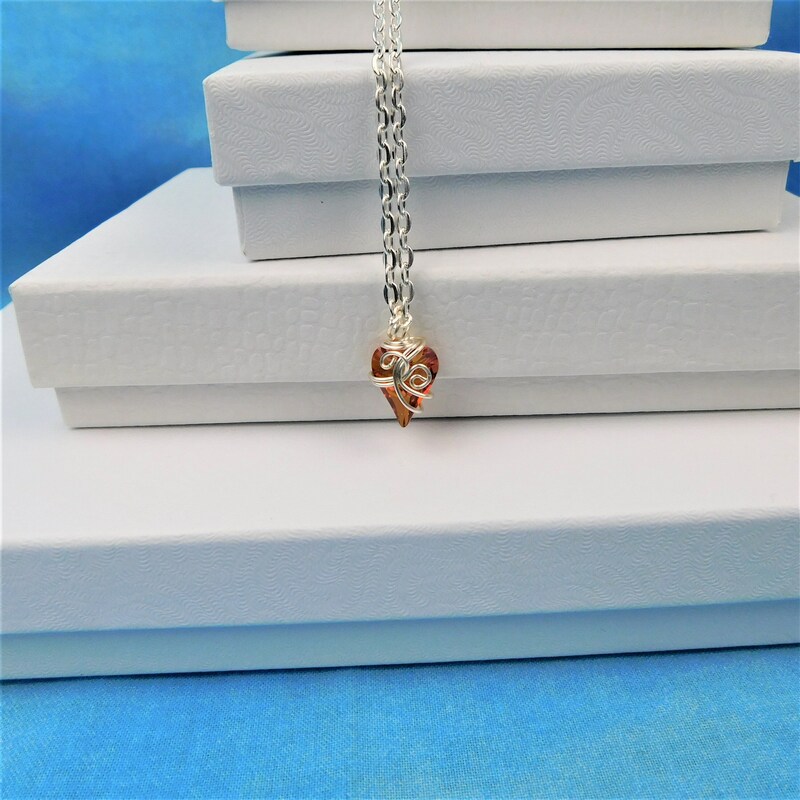 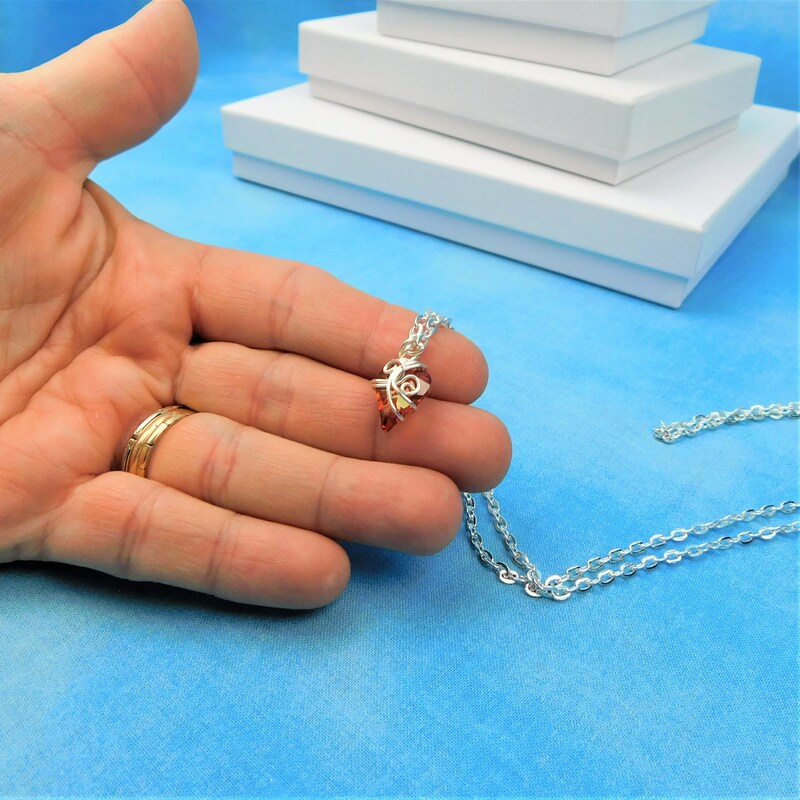 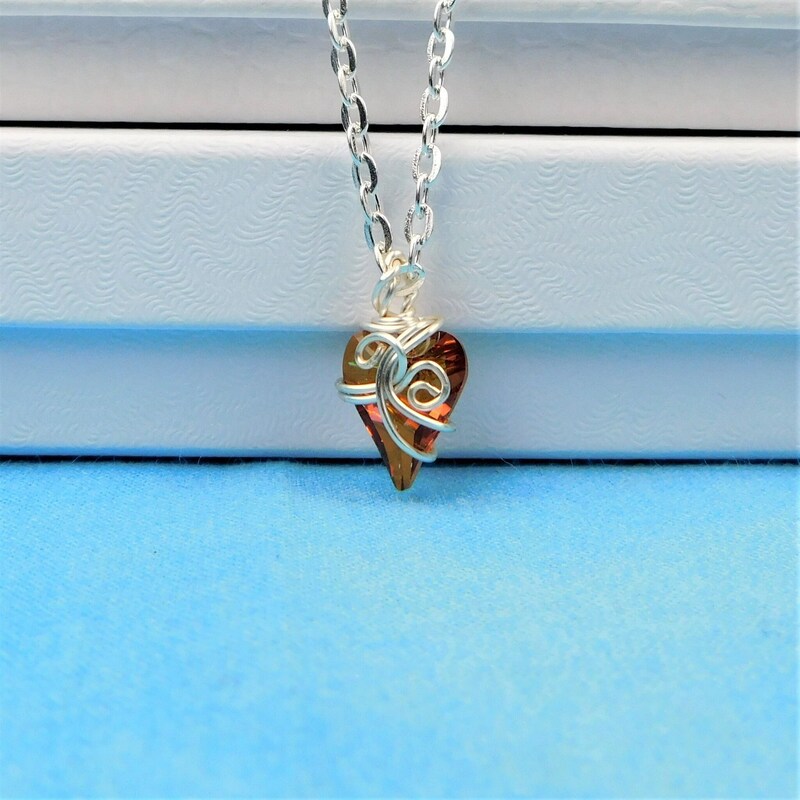 A 1/2 inch by 1/2 inch swarovski crystal heart is artistically wire wrapped with non tarnish fine silver over copper wire, creating a uniquely beautiful accent piece. 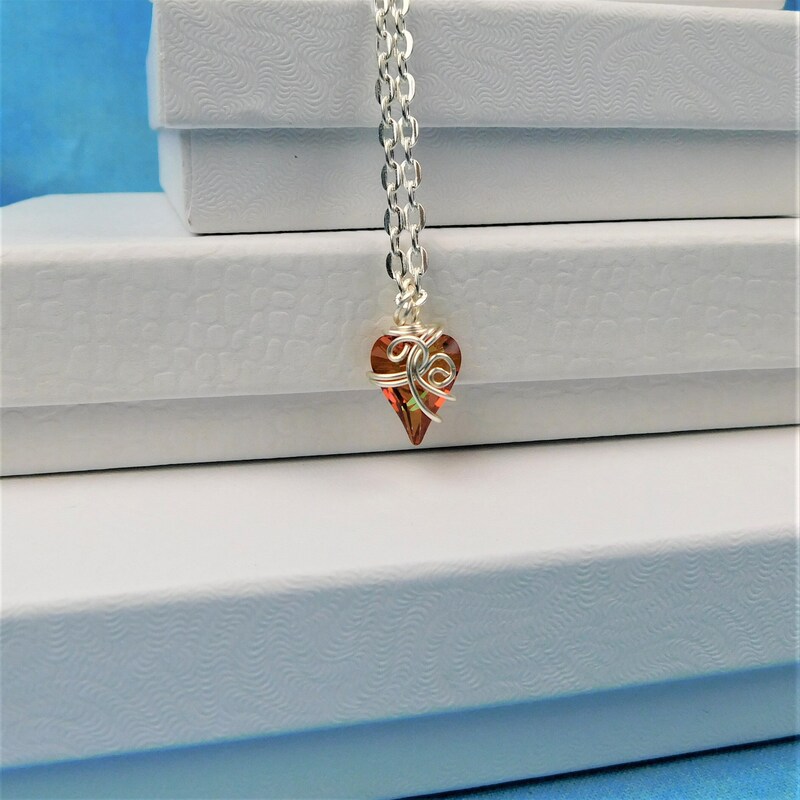 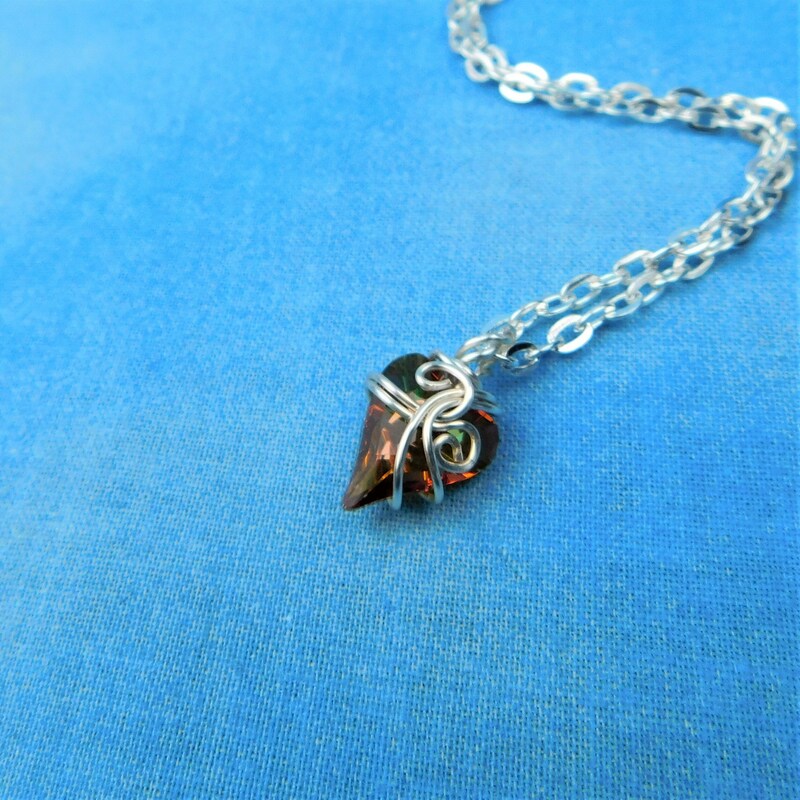 The unusual amber yellow of this heart peeks through the silver wire wrapped embellishment on this interesting heart. 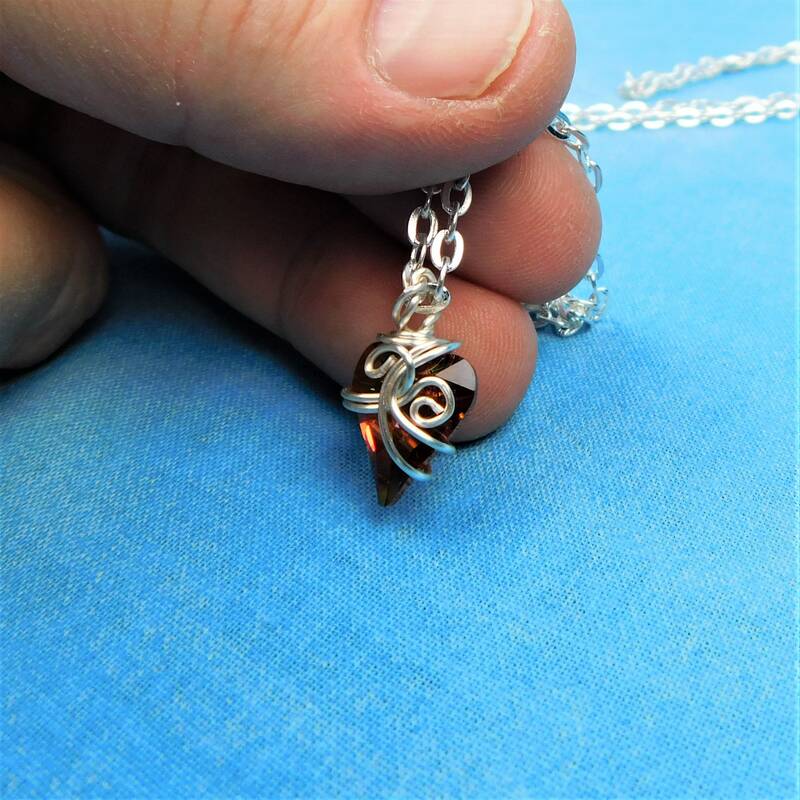 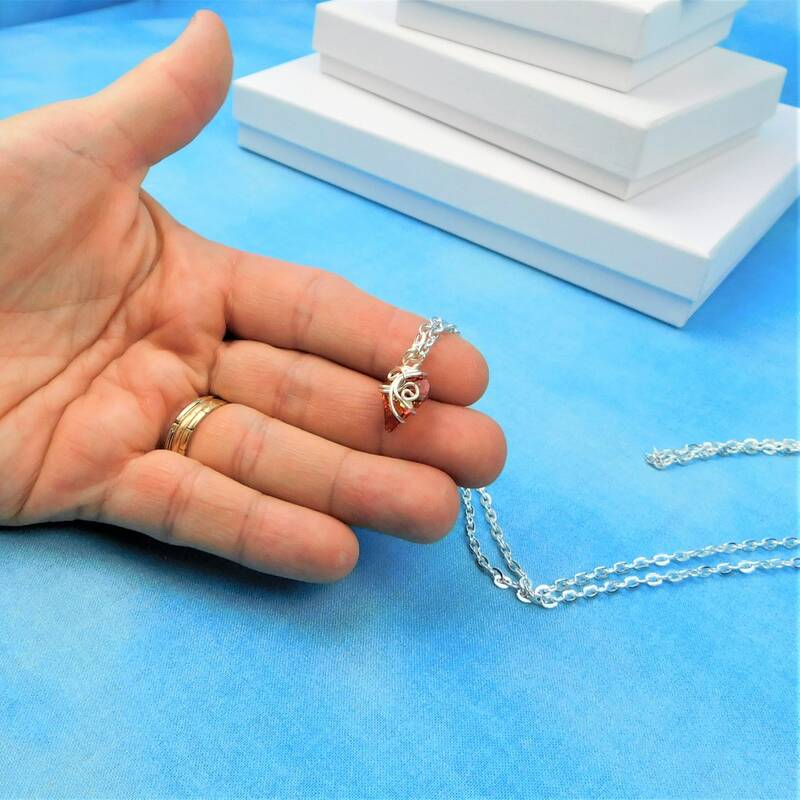 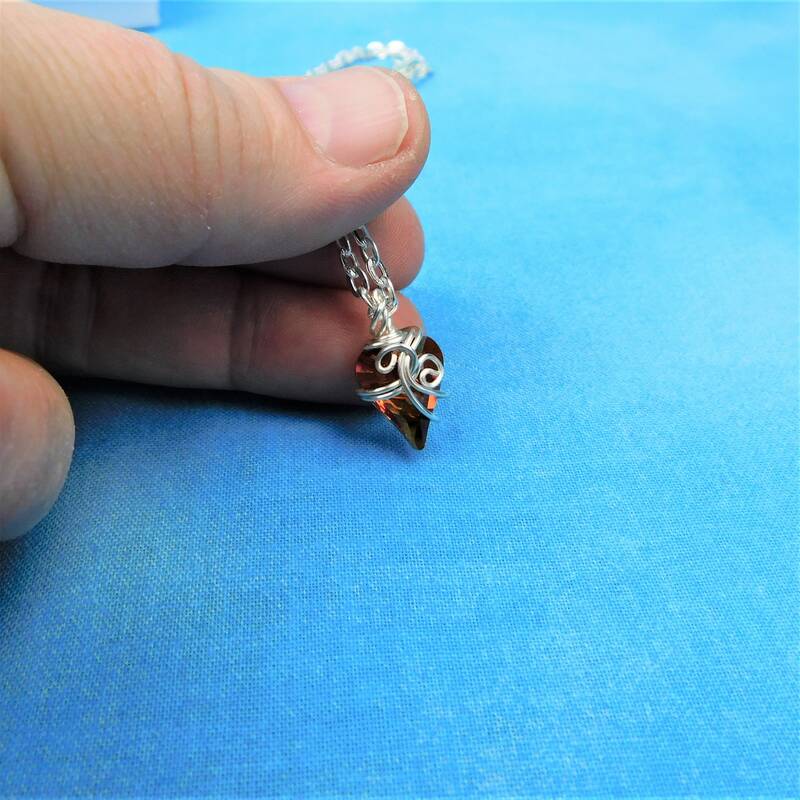 The combination adds interest, making this a truly one of a kind pendant.